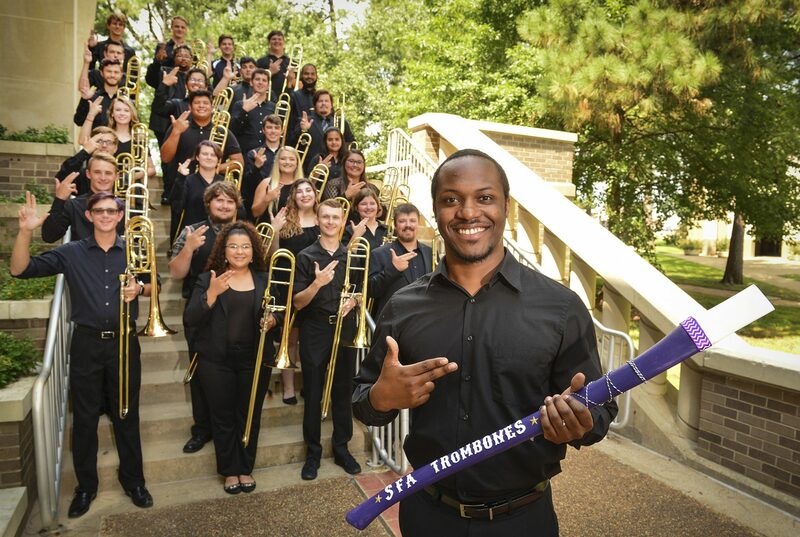 Kahlil Wyatt recently won an audition for a position and scholarship to perform in the Sewanee Summer Music Festival in Tennessee! Our tour to Houston this year was such a success. Performing at several high schools and then a nice meal at Cheesecake Factory to top it off. Lots of food, the white elephant gift exchange, and now a new tradition of burning a door made this party awesome. Proud of these students who performed as part of the “best brass section SFA has ever taken to TMEA”. The concert was truly phenomenal, so much so, that one of the players fainted onto the floor and couldn’t get up.